I am a junior psychology major, and my anticipated graduation year is 2016. I am currently working with Professor Mary Ukuku, in the Psychology Department at Spelman College on determining if parenting practices, parental behaviors, religiosity and spirituality are protective factors against risky sexual behavior among teens in the Atlanta Area. In addition to this study, I am conducting a mini-study examining the effect of parental involvement on the educational achievement of African American adolescents. , In addition to conducting research at Spelman College I have also conducted research at Louisiana State University, on the factors that affect children from completing their homework, and ways to increase more school participation. 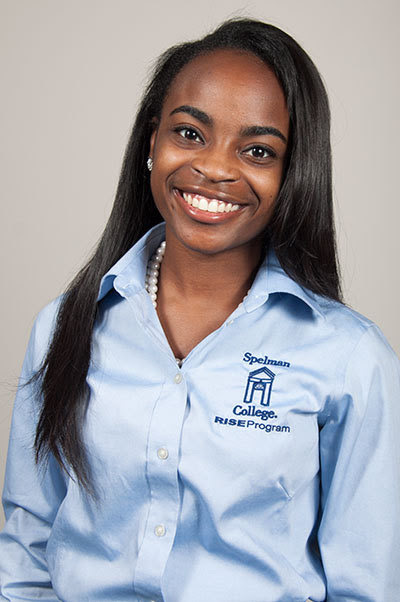 Upon graduating Spelman College I plan to attend graduate school and receive my Doctorate Degree in Public Health. Upon attaining my doctorate degree in Public Health I plan to work for the state or local government in researching ways to decrease disparities. Particularly concerning low income neighborhoods, to address public health issues surrounding the environment, such as lack of available healthy food stores, lack of adequate housing, and generally an unsafe environment. I will find root causes of these disparities and as I gain higher education and experience to begin to eliminate them.